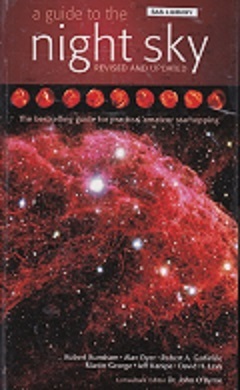 A Guide to the Night Sky is a comprehensive illustrated handbook for backyard astronomer, with expert starhopping guides and advice on essential stargazing tools and techniques. * Up-to-date statistics, distance and measurements. * Expert advice for the backyard stargazer on everything from telescope choices, to using binoculars and taking your own astrophotography. * Star-hopping tours to help the amateur astronomer traverse the heavens and identify the night sky’s wonders with ease. * Fully illustrated throughout with hundreds of the latest stunning images, maps and photos.